Hello ladies! Well I had all sorts of fun things to show you, but I've put it all on hold so I could share my new obsession... Olio Boards! 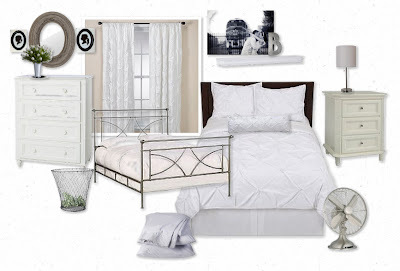 Have you tried a mood board yet? I just did my first one, and this site makes it super easy. 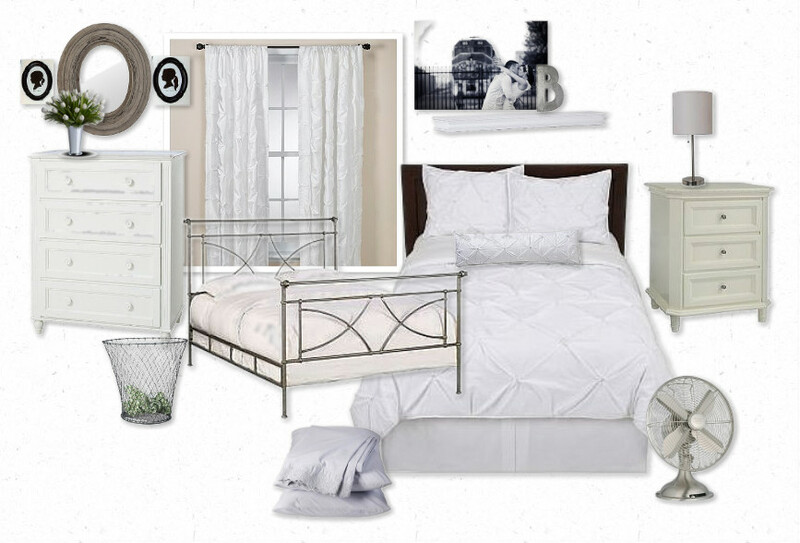 I did a board of our future master bedroom, and I LOVE how it turned out!! What do you think? Everything (except the oval mirror) is something we already own, or that's on our registry. But don't worry, we don't have two beds : ) The silver bed is our actual bed, and the one with pleated bedding is our bedding. You'll notice my vintage wire basket, our gray shabby chic sheets from Target, a giant canvas of one of our engagement pics above the bed, and a trusty fan for Matt (he has to have one to sleep...so I picked out a "pretty" one). You like? Go make one for yourself! P.S. I can give sources for anything you see, so just ask if you're wondering about something! Very cool, I have not tried one yet but will! I love that site, it's becoming a bit of an addiction. Your board is great. Wow, this is Lovely! Hope to see you at My Dream Canvas! Hope you have a beachy week!